who use that language. These rules are not rigid, but flexible and may change with time or new ones may be introduced. Or different users may make certain grammatical interpretations of their own. It is the same with ASL. The grammar rules used by the older generation may not necessarily be followed to the letter by the younger generation. 1. In ASL, conveying the concept or thought is more important than conveying the correct sentence structure. 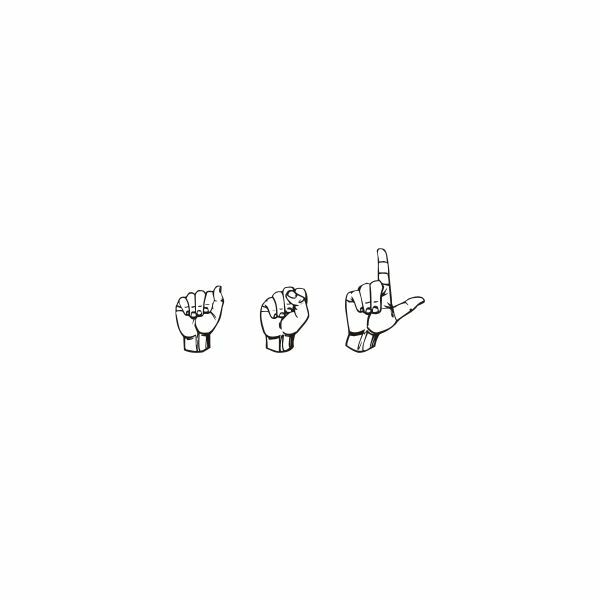 So ASL is used in a social setting, for example, but Signed English (SE) is used in situations where it is necessary to sign every word to convey the entire sentence structure. In English, you might say – “I have two cats"
In Signed English (SE), you would sign each word of the sentence “I have two cats"
In ASL, it is enough to sign “Two" and then “Cats" and then point yourself “Me"
2. In ASL, sentences follow a "Topic" with "Comment" structure. The subject of the sentence is the topic and the word/phrase giving information about the topic is the comment. The object of the sentence can also be used as the topic. Word order is less important than conveying the correct meaning with the correct sign in the correct context. In English, you might say – “I walk my dog"
In ASL, you could sign – “My Dog" “I" “Walk"
3. In ASL, for past and future tenses, time frame is established at the beginning of the sentence in a “Time" “Topic" “Comment" structure. You can also sign "Past" or "Finish" to convey past tense or a completed action, but this isn't really necessary. The meaning will be understood according to the context of the sentence. ASL does not have separate signs for suffixes like 'ing' or 'ed'. In English, you might say – “I'm going tomorrow" or “I worked yesterday"
In ASL, you could sign – “Tomorrow" “I" “Go" or “Tomorrow" “Go" “I". And “Yesterday" “I" “Work"
4. In ASL, to convey the concept of the first-person singular personal pronoun “I", you simply point an index finger at yourself or touch it to your chest. To refer to another person, you point at him/her to mean “Him/Her". If there are several persons, point to the right and sweep finger more to the right to convey "They". If the person you are referring to is not present, you can first identify him/her by spelling out the name and then point your index finger at a point in the signing space to set that as a referent. So the next time you mention that person you indicate toward that point again. This is called indexing. In English, you might ask – “What are you doing?" In ASL, you will sign “You" “Doing" “What" with a raise of eyebrows and a questioning look. As ASL is a visual language, facial expressions are very important. Most ASL speakers make eye contact and watch the expressions on each other's faces when talking; they don't concentrate solely on the hand signs. Here is an ASL site, LessonTutor.com with most of the signs used in this article.